Gold futures slipped Thursday, finding little traction from a mostly weaker dollar even after the Federal Reserve said it expects inflation “to move up this year” in a sign it’s likely to hike rates at its next meeting in March. April gold futures GCJ8, +0.04% now the most active, traded at $1,340.70 an ounce, down $2.40, or 0.2%. February gold GCG8, +0.04% for the month and year to date had climbed roughly 2.3%. March silver SIH8, -0.82% slipped 5 cents, or 0.3%, to $17.19 an ounce. 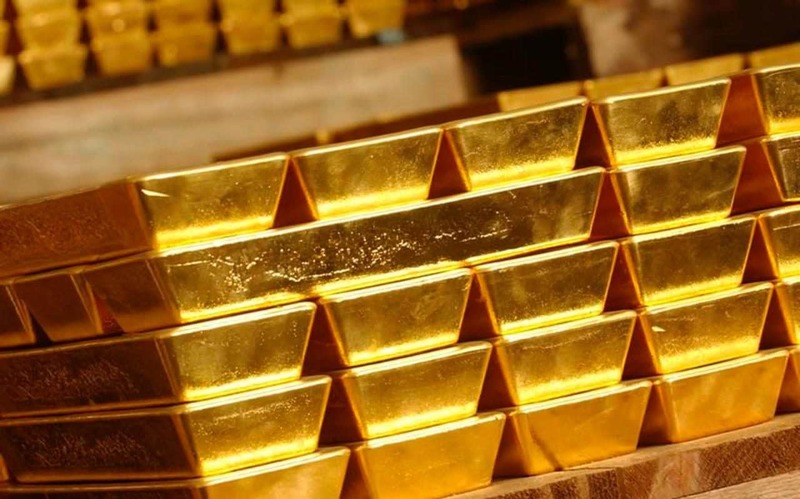 The exchange-traded SPDR Gold Shares GLD, +0.27% was actually firmer premarket, while the silver-focused iShares Silver Trust SLV, -0.03% was 0.7% higher. The dollar struggled to shake off its recent weakness with the ICE index trading close to a three-year low. The ICE U.S. Dollar Index DXY, -0.10% fell 0.1% to 89.045, adding to a small loss from Wednesday when the benchmark logged its biggest one-month loss since March 2016. Dollar-priced gold often moves inversely to the buck. Rising Fed rates, and subsequently, rising yields, can also be seen as a negative for gold, in part because the commodity offers no yield and because rising yields can contribute to a stronger dollar. U.S. yields continued higher on Thursday, with the rate on the 10-year benchmark note TMUBMUSD10Y, +0.87% rising 4 basis points to 2.75%, the highest since April 2014. UBS lifted its forecast for U.S. 10-year yields to reach 2.9% by the end of 2018, up from a previous prediction of 2.7%. For 2019, UBS raised the forecast to 3% from 2.85% previously. On the data front, weekly jobless claims, productivity data and unit labor costs are all out at 8:30 a.m. Eastern Time, followed by the manufacturing PMI at 9:45 a.m. The ISM manufacturing index and construction spending data are due at 10 a.m. In other metals action, March copper HGH8, -0.16% slipped less than 0.1% to $3.193 a pound and April platinum PLJ9, +0.00% was little changed from its Wednesday settlement at $1,004.30 an ounce. Palladium’s March contract PAH8, +0.52% was down 0.4% at $1,019.30 an ounce, headed for a sixth losing session in a row.